Liebster Award: And the nominees are…. 365 things I love about France – This blogger finds so many positive things to say about our fair land, I am truly ashamed…yet written with humor and realism. Life on la Lune – I enjoy reading this blog about a British writer’s life in France, which seems strikingly similar yet very different from my own. One French Word – A beautiful food blog that also make it easy to learn a lot of French culinary terms! Taste of Savoie – Another delicious blog with a lot of interesting tidbits about places to go in our corner of France. C’est la vie – A newcomer deals with her frustrations and family life in France. Long View Hill – I love this writer’s frank approach to sharing her fitness and life challenges. Scene by Minerva – Absolutely beautiful photographs of flora and still life captured through this talented photographer’s lens. Aimée Cartier’s Blog – Only recently started following this blog but her voice and humor hooked me from the get go. Wife After Death – This blog deals with the painful road back to life following the loss of a spouse. Her writing is so good I want to be there for every step! Fellow bloggers, I know that not everyone will have the time or inclination to participate. 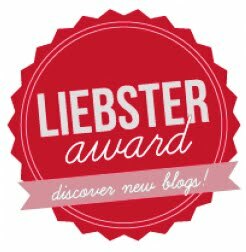 Your mission, if you accept, is to follow the Liebster Award rules as outlined in my last post. Blogging takes so much time that you could be spending doing something else. Why do you choose to blog? If you could have any talent, artistic or otherwise, what would it be? Do you ever dream of moving to another country and if so, where? What is your preferred form of exercise or sport? What household chore do you least like to do? Picture yourself in a perfect moment of happiness: where are you and what are you doing? Let’s raise a toast to your continued to success with blogging – what are you drinking? Thank you for nominating me and for the kind words about my blog. I’ll try to do justice to the award, although time is of the essence just now. I understand, and felt the same way. But it does seem worth it if you can manage to find the time… Bon courage! P.S. I’ve had a great time exploring the other nominated blogs and not getting on with my work. I knew a few already but you’ve also introduced me to others. Thanks. Glad you enjoyed it! Hope you managed to get on with work after the distraction! Oh thank you for your nomination. Working on collecting my own list of beloved blogs to follow. What a great idea! Also– LOVEd checking out your list! You turned me on to some really great ones! Thank you.